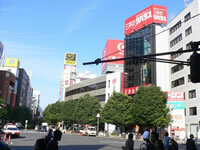 The Kichijoji area, known as "college town", is in Musashino city in Tokyo. 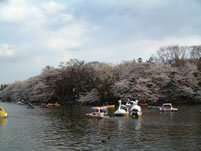 The area includes the Tokyu Department Store, Isetan, Parco, Marui, Seiyu, and Inokashira park. Buses bound for Musashiseki, Oizumigakuen, Nishiogikubo, and Nakano will be available at Kichijoji station. The festival is held in summer. It is held in summer. Portable shrines are carried from place to place in Kichijoji.